Following episode 14, this month’s episode of the Persona Stalker Club talk show has been released and it is themed after Persona 4: Dancing All Night. 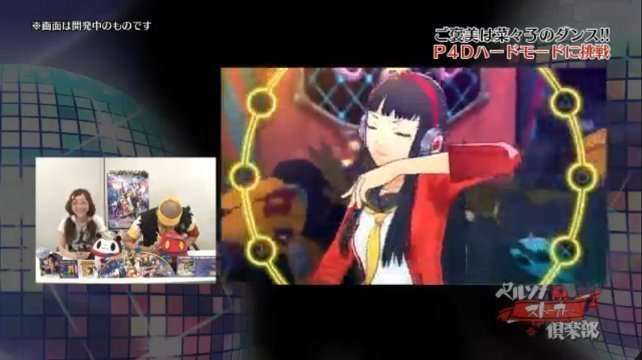 The March 2015 episode of Persona Stalker Club featured the hosts discussing Persona 5 and Persona 4: Dancing All Night, which were unveiled during the February Persona event. Episode 14 also confirmed the eventual Blu-ray and DVD release of the Persona Super Live 2015 concert. This time. the show’s hosts visited Atlus this time to get hands on with Persona 4: Dancing All Night. They also changed their trademark clothes for the occasion, and they even try to dance themselves. Tomomi plays through the game’s tutorial mode first, and Mafia then chooses to play the song “Best Friends” on Easy difficulty with Kanji as a main character and Naoto as his partner. 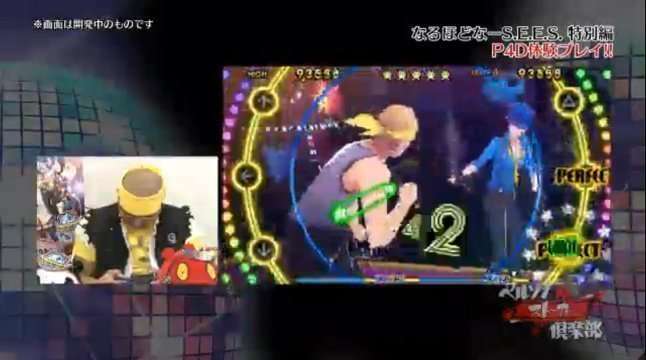 The end shows Kanji Tatsumi’s Persona summoning sequence, and reveals that a remix of Persona 4‘s battle victory song “Period” is played on a song’s is clear screen. 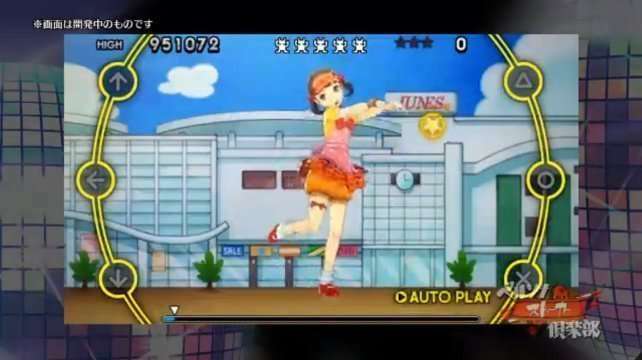 Subsequently, Tomomi chooses to play the song’s main theme “Dance!” with Yu Narukami, and Kanami Mashita as a partner. 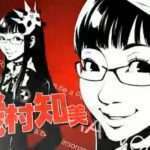 In a follow-up segment, the difficulty increases to Hard as Mafia plays “Heartbeat, Heartbreak” with Yukiko as a main character and Teddie as a partner. He proceeds to then fail the song, as it proves to be more difficult than his previous experience. Tomomi gives it a try, playing “specialist” with main character Yu, which she also then fails. 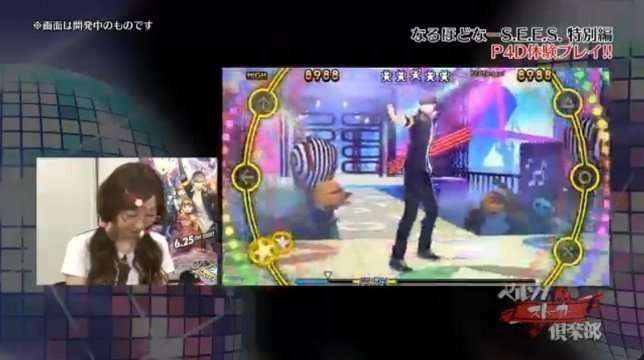 Mafia tries one final time to clear a song on the Hard difficulty level, playing “Now I Know” (Yuu Miyake Remix) with Rise Kujikawa as the main dancer. He fails. 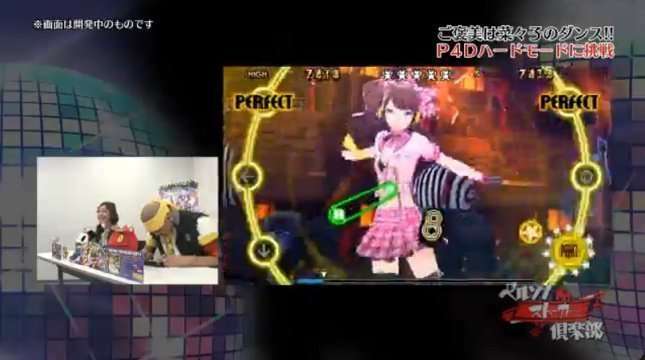 They close off the segment with Nanako Dojima dancing with her cousin Yu to the remixed version of the Junes theme, on auto-play. Finally, related to the Persora: The Golden concept albums from Persona Stalker Club‘s popular “misheard lyrics” segment, there will be a “DVD-BOX” release on July 15, 2015. It will feature appearances from notable Persona music artists Shoji Meguro, Lotus Juice, Shihoko Hirata and Yumi Kawamura; limited edition goods and the results from the “Persora Award” fan poll that was released in conjunction with episode 14. 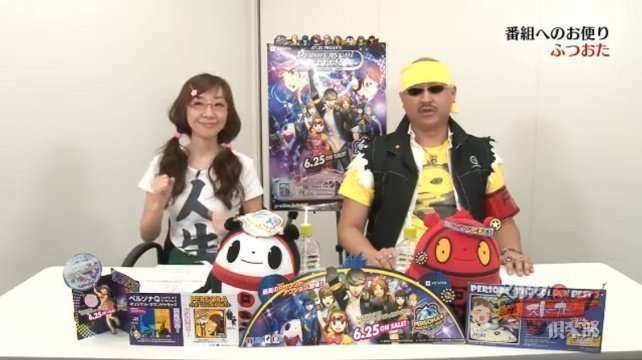 Persona Stalker Club is an official Persona talk show with hosts Mafia Kajita (writer) and Tomomi Isomura (voice actor), who are both Persona fans. They talk about a variety of Persona related topics, and they will often discuss with special guests who are involved with the series.